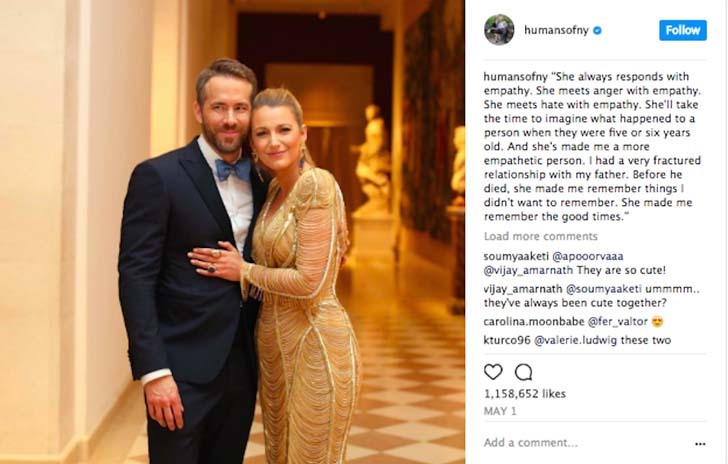 Ryan Reynolds and Blake Lively's marriage might seem effortlessly perfect, but there's a rich foundation to it that all couples can admire and learn from. 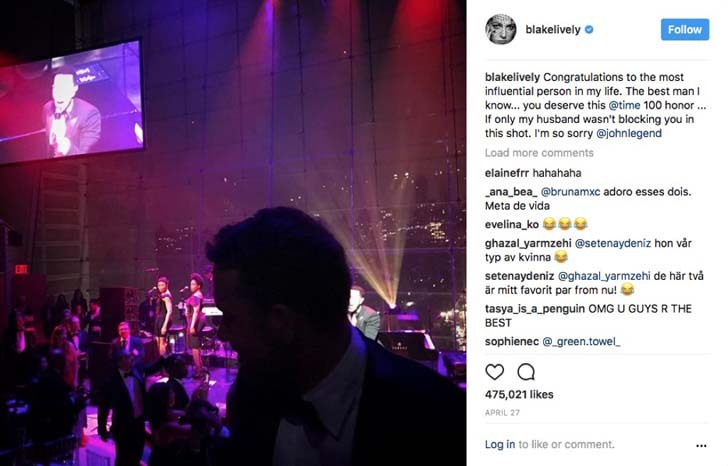 Blake Lively and Ryan Reynolds are undoubtedly America’s married sweethearts. From superhero movies to late-night talk shows, it seems like the pair has been everywhere for the past few years—and people can’t get enough of them. While the uber-famous couple is relatively private about the nitty gritty details of their relationship, it’s become a regular thing to hear them talk about each other. One thing’s for sure: They are very much in love, despite the pressures of raising two young children and being in the spotlight. Here, find out how they keep the passion and devotion alive. And if you’re thinking about getting married yourself, don’t miss this amazing and in-depth guide to finding the perfect ring at any budget. [post_ads]One of the biggest secrets to the couple’s lasting love is something you hear pretty often with happy couples: They were friends before they became lovers. 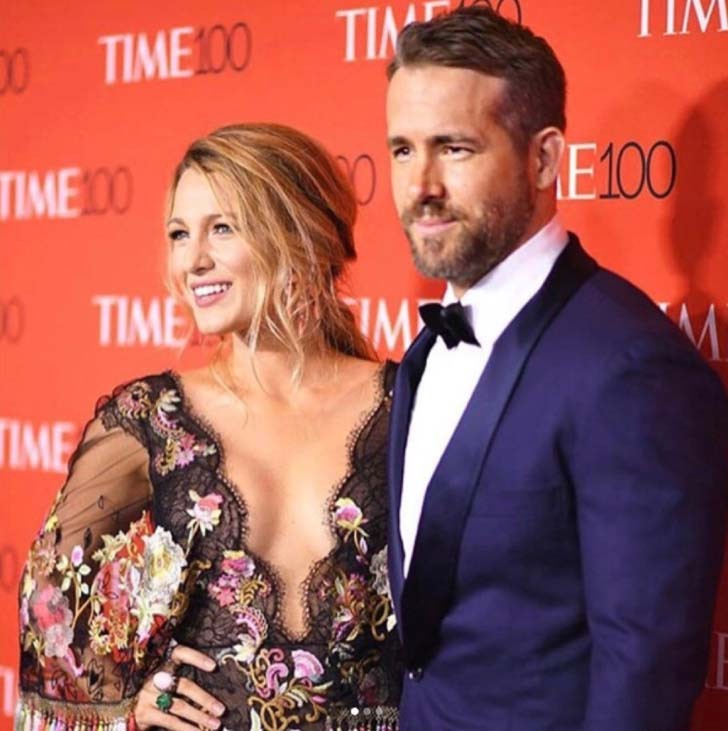 Reynolds explained how he and Lively got together on Entertainment Weekly‘s SiriusXM Deadpool special: “About a year after Green Lantern had come and gone and we were both single we went on a double date—[Blake] was on a date with another guy and I was on a date with another girl—and it was like the most awkward date for the respective parties because we were just like fireworks coming across… We were buddies for a long time, which I think is the best way to have a relationship, to start as friends.” If that doesn’t deserve a place on our list of favorite love quotes, we don’t know what does. These two famously rib each other on social media, much to the delight of their fans. But behind the novelty of watching two of Hollywood’s biggest stars all-out make fun of each other is the fact that they seem to be constantly making each other laugh and reminding each other not to take themselves too seriously. A couple that’s willing to do something a little inconvenient for the sake of quality time spent together is a lasting one. 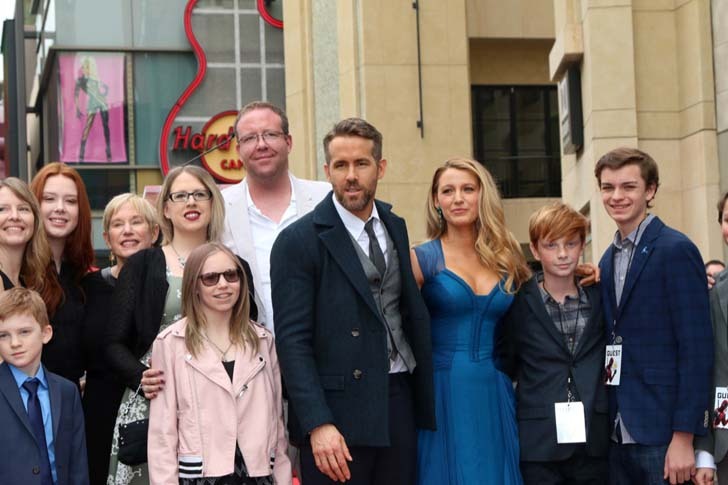 Reynolds told AOL Build how he couldn’t wait to see his family after finishing up filming: “When I wrapped Deadpool five weeks ago, within an hour—I’m not joking, I still had chunks of glue from the scar makeup on my face—I was boarding a plane to Bangkok so I could get to my wife and baby right away. I’ll do anything to be with them.” And for more great relationship advice, check out the 30 things straight couples can learn from gay couples. 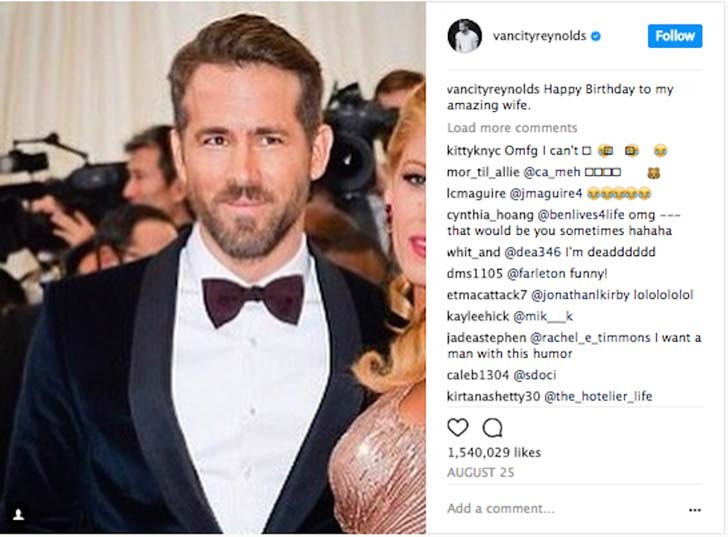 Reynolds took the birth of the couple’s first child as an opportunity to feel ever closer to his wife. “I’m not one for vomiting declarations of sentiment out across the airwaves, but when we had that baby, I fell more in love with my wife than I’d ever been in my entire life, I couldn’t even believe it,” he said on The Late Show with David Letterman, according to People. Clearly, humour is a pretty big part of their relationship, and it sounds like they even use it in the most tense moments—like when lively was giving birth to their first child. “At one point in the middle of the delivery, the doctor’s cell phone went off and she went, ‘Oh no, go ahead, take a personal call. Feel free.’ She was cracking jokes!” Reynolds told Conan O’Brien, according to InStyle.